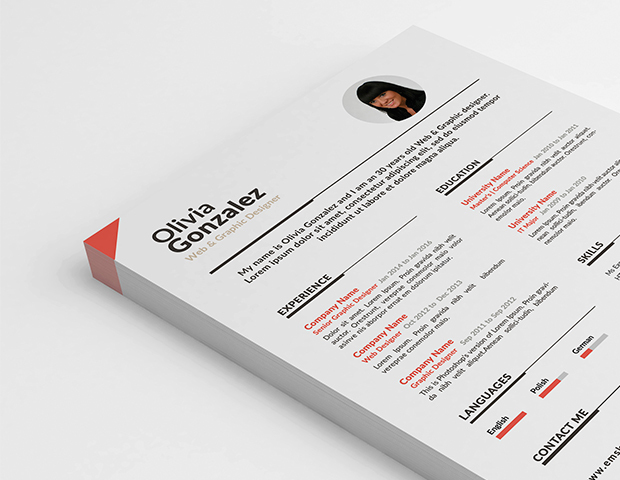 Very basic and clean resume template which fits for almost all industry. 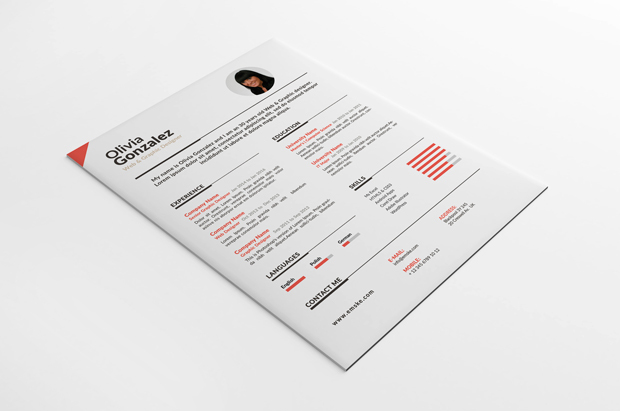 This template contains basic fields such as experience, languages, contact and even place for a small profile photo which is placed in a circle. 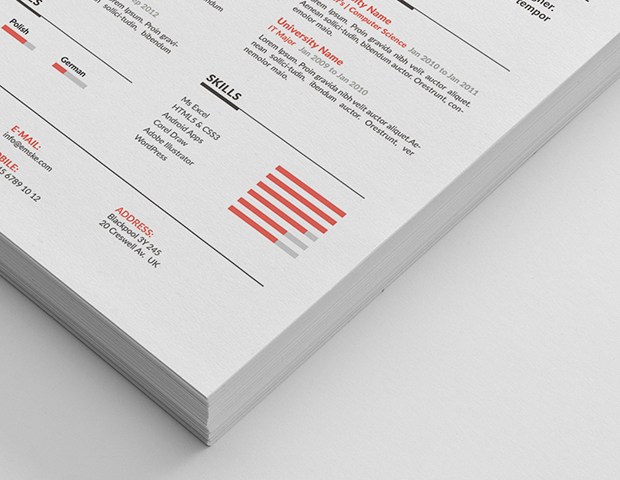 If you don’t need to be very creative this template will be perfect for you. Very nice PSD!Thanks a lot!